Anthony Pauly Jr founder of The Shaman's Touch Apiary. 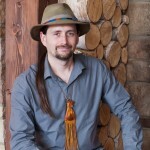 Founder of the Shaman’s Touch Apiary, Anthony Pauly Jr & his Shamanic Work. Because of extremely abnormal Late Winter Spring Weather Here in Vermont, and life circumstances that took president over my apiary schedule, The number of Nucleus Colonies I was hoping to sell are no longer available. For those of you that have shown serious interest, if the situation changes I will contact you based on availability. I intend to try again next year nature willing. A message from Anthony Pauly Jr, Founder of the Shaman’s Touch Apiary. This introduction is intended so that I may provide you with a look into my spiritual background and how I came to discover my path as a shaman. My intention in doing this is so you can get to know what it is I want to share with you. One morning in May of 1995, I woke from a deeply disturbing dream in which I had died a rather bloody death. In this dream my lover and I had been driving in the South Western American deserts. We came across an area of land that rose up to form a large crater in the earth. There was a glow in this crater that we wanted to explore. So we crept up to the edge to find many heavily armed men digging in the earth. An alarm went off and we were discovered. Just moments later my lover and I where shot to death. This journey has led me to do a great deal of personal study. As I have chronicled in the book I am writing ”A Gathering of Butterflies – A Wizard’s Collection of Stories and Love Letters”, I came to discover the writings of the Shamanic Author and Teacher Lynn V Andrews. Her first book Medicine Woman, came to my attention on a trip I took to Seattle in April of 1996. It literally grabbed my attention from a bookshelf in the mall’s bookstore. For many hours, I sat in the food-court feeding my hunger. I consumed the words voraciously. By the time I had finished, I was fully aware that I had found my way home. I had found a language from which I could now communicate what I had instinctively known my whole life, but had been thus far unable to articulate. From that moment on, I knew that educating people about the balance of female and male energies in the form of the internal Goddess and God was my soul’s mission. The realization was staring me boldly in the face. Yet I was very young and ignorant, so I had a lot of growing and maturing to do before I could live this truth. Since that day in 1996 to the beginning of 2000 when I formally began my work with Lynn’s organization, (called LACSAT, Lynn Andrews Center of Spiritual Arts and Training), my life has been one of constant change and learning. I was an enrolled student for almost three years, and I have also worked at her Joshua Tree Gatherings as a staff member for the last ten years. It is in that capacity along with the school training that has transformed my life in ways I could have never imagined. In my independent work outside of the LACSAT programs, I have conducted many intimate classes and workshops on subjects ranging from dreaming, medicine wheel teachings, alter magic, astral projection, ceremonial art work, dancing with the shadow side and so much more. It is my sincerest wish, to extend opportunities where I may provide information to all those who wish to learn about these subjects. Most importantly, to share the importance of the balance between the Goddess and God within us.